Historically, gold has been used to make jewelry for many centuries. 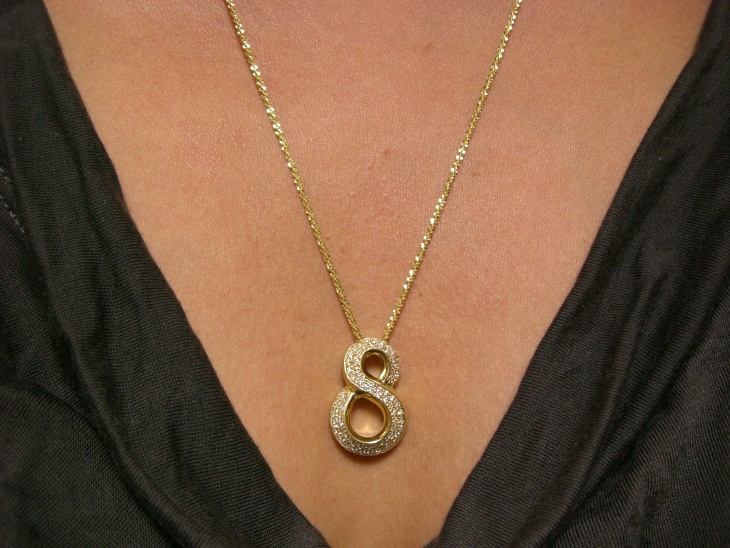 Both men and women prefer gold necklaces to other metals because of its luster and durability. It is also so versatile such that you can get these necklace designs in yellow gold, rose gold and white gold depending on the color that complements your skin tone. 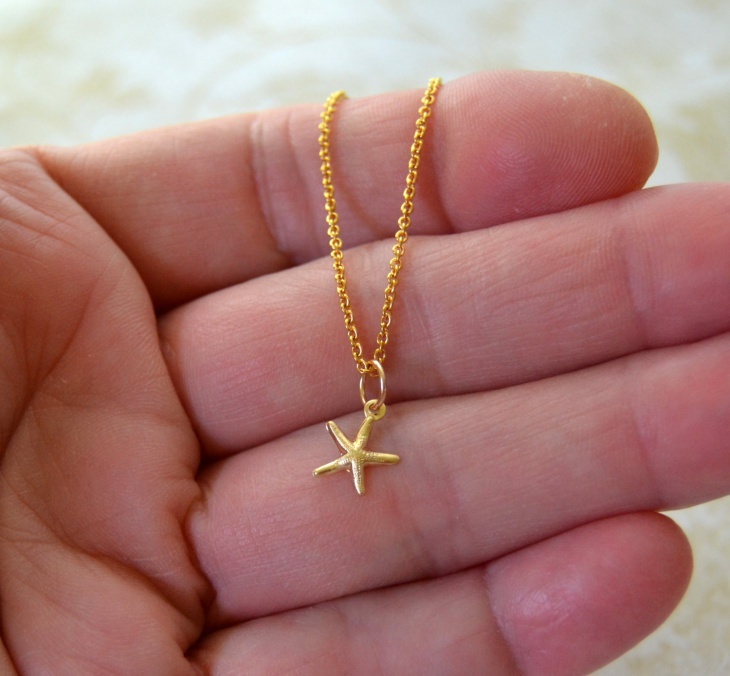 Whether you prefer gold plated or solid gold, in this list there is a gold necklace that will suit you. 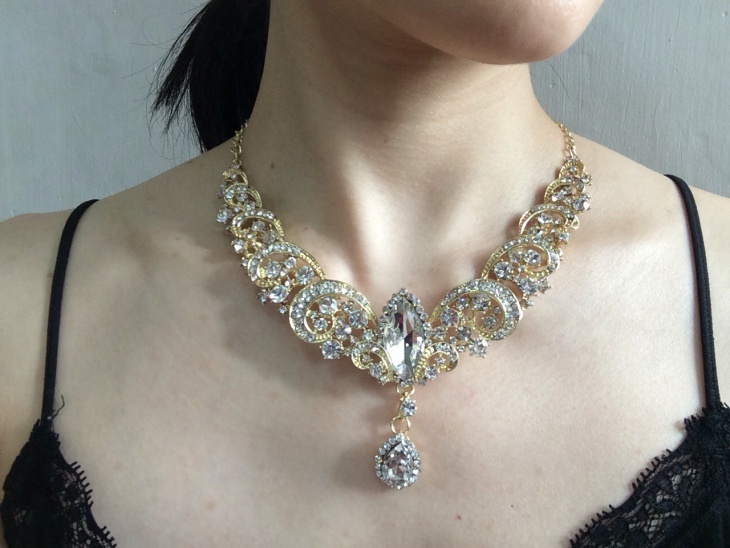 If you prefer a sparkly gold accessory, then opt for white gold necklace designs. White gold is more popular than yellow gold. 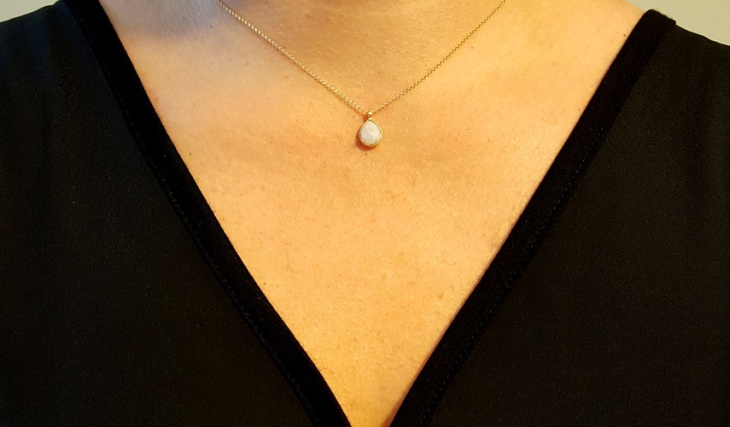 The white shine comes about by mixing yellow gold with other metals making it durable, scratch resistant and easy to compliment a diamond necklace. When wearing a turtleneck sweater or solid colored dress, add a long gold necklace and you will look stylish. A long gold necklace with a pendant will look amazing with the little black dress as it will add color and make the dress pop. 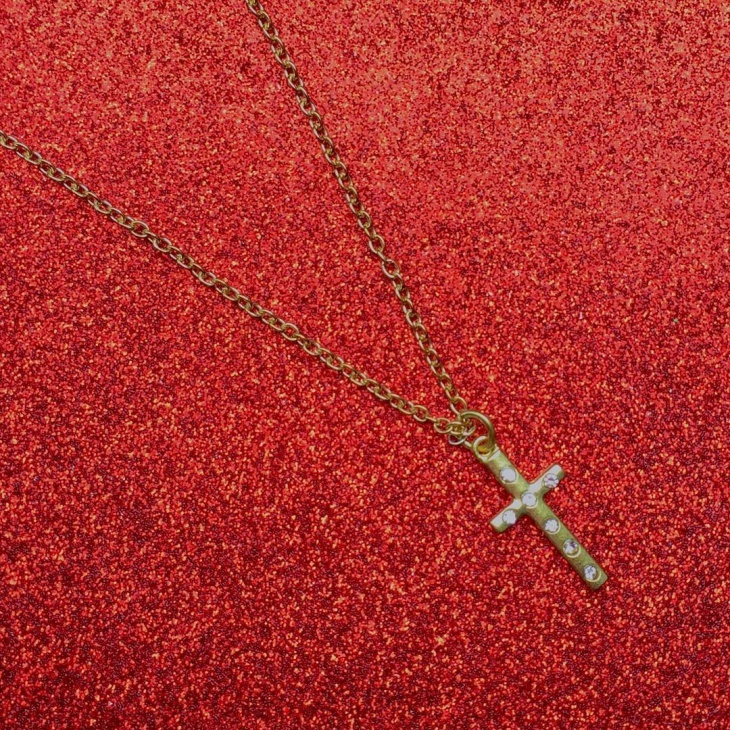 Gold cross necklaces make a subtle statement hence can be easily paired with church outfits. These jewelry designs are also ideal for men who want to depict their personal style and to showcase their religious stand. Pair these necklaces with simple outfits to make the cross to stand out. 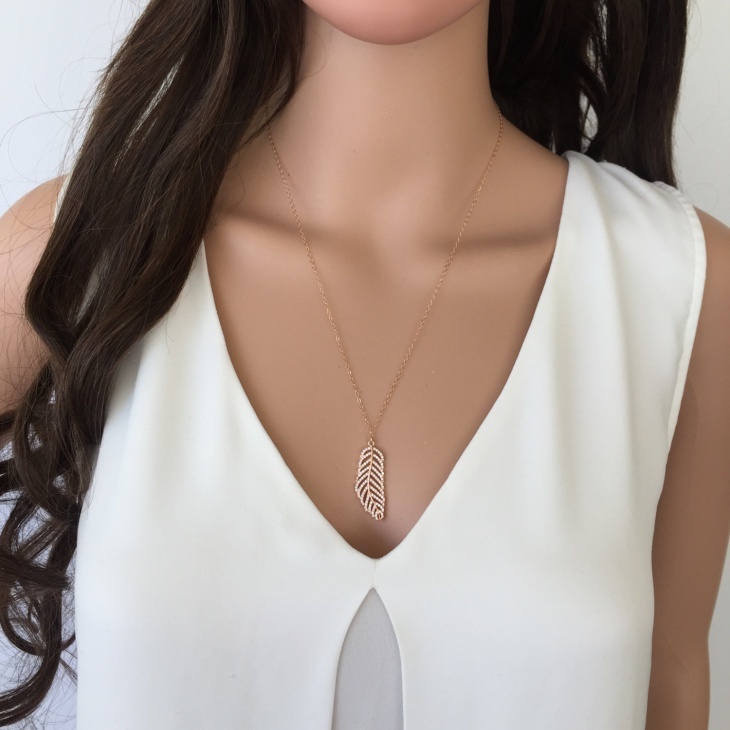 Gold pendant necklaces are perfect for girls who want to show off their collarbones. Instead of a neutral gold necklace, opt for that a pendant that incorporates diamonds or colored gemstone with gold chain. For a traditional look choose a gold pendant that incorporates your birthstones. For a romantic look, wear rose gold necklace designs. Rose gold is obtained by combining gold with copper to produce a pinkish red hue. It is tougher and more durable that white and yellow gold. 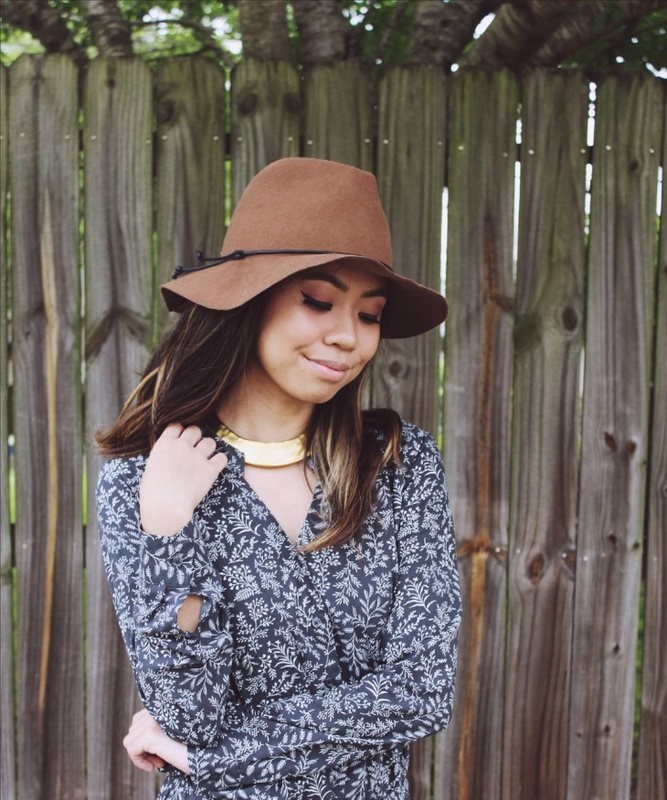 It complements all skin tone and tends to brighten outfits in neutral colors. 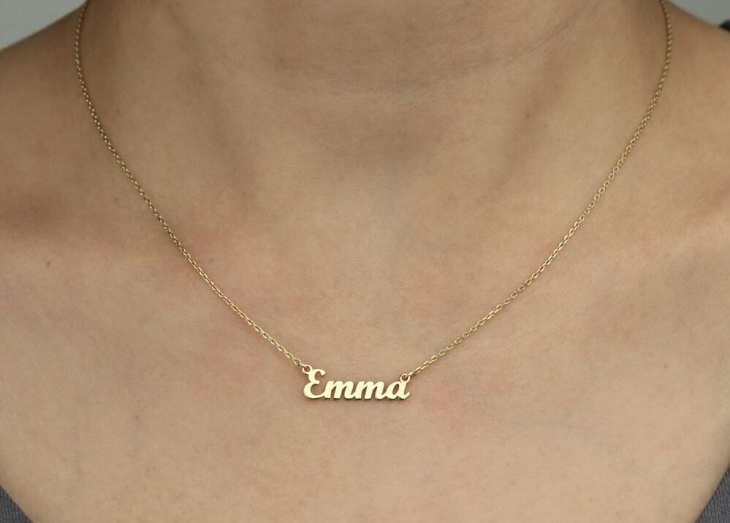 If you need a classic necklace that will forever remain trendy, then opt for gold name designs. These necklaces are so personal that they make a great Christmas gift for you daughter, wife, sister or mother. The gold color will ensure that the necklace looks beautiful on any skin tone. 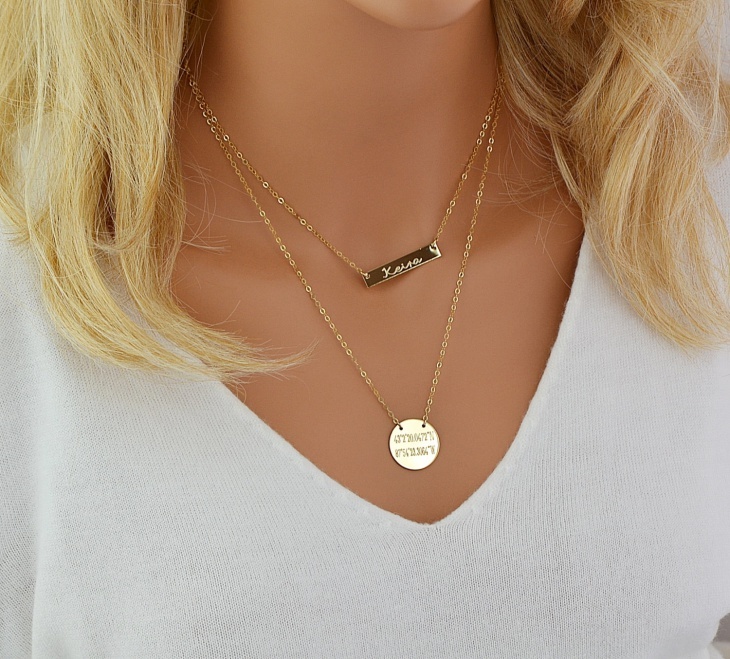 Small gold necklaces are a stylish option for women and men who need to enhance the look of their office attire. Yellow gold remains a popular choice, and it will not rust or corrode. The small gold design will prevent the yellow color from looking dramatic. 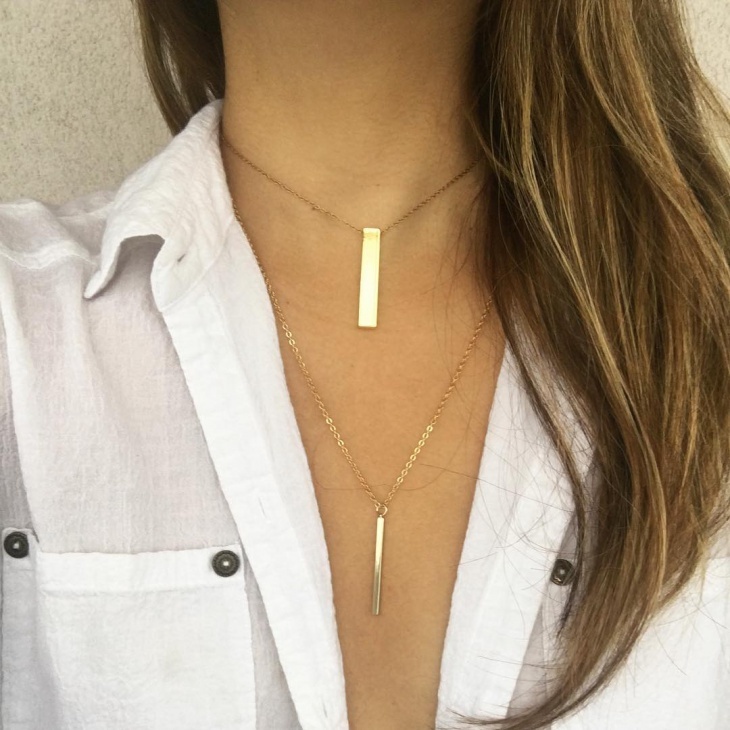 Ladies, you can wear a gold bar necklace with anything. The bar shape will draw attention towards your neck and looks proper in any occasion. A few diamonds on the gold bar will add a touch of sparkle while the gold color will add an edge to your whole look. Classy and chic, gold beaded necklaces complement both formal and casual outfits. You can spot these accessories with fashionable men as well as women who want to showcase their culture. 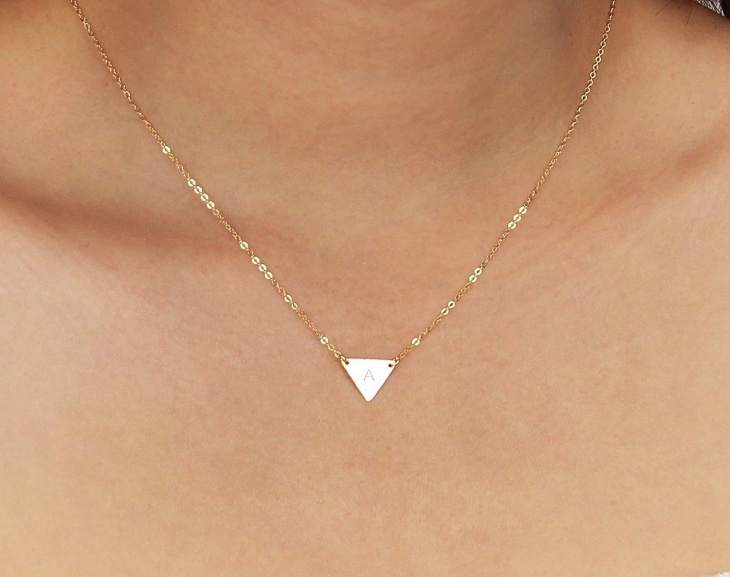 Pair this necklace with a simple t-shirt or use it to brighten up your denim shirt. Gold choker necklaces are the trendy accessories that you can be seen with various celebrities. They are a 90s style that is making a comeback and tend to look good with casual outfits. 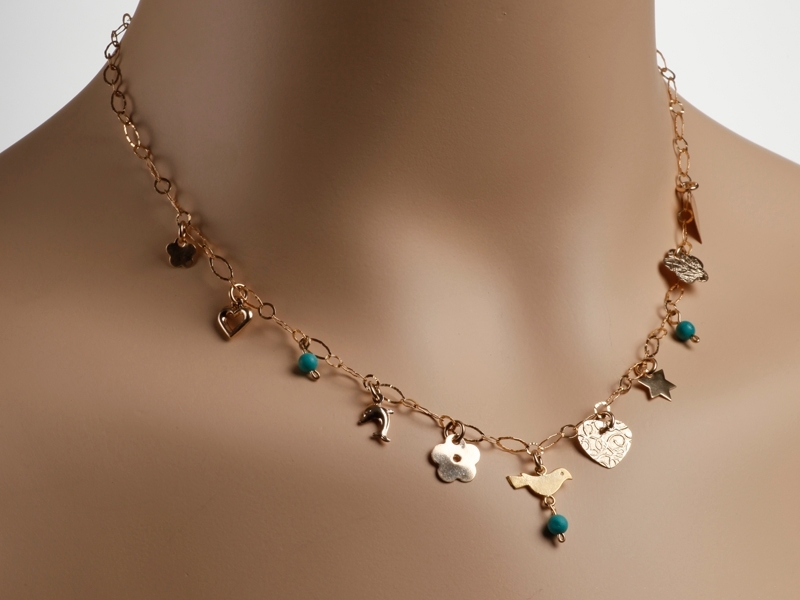 you can pair with a long necklace or wear those with a charm to show your effortless style. Whether you are dressed in a plain t-shirt or solid colored top, gold statement necklace will make your outfit look attractive. This ornament looks glamorous when paired with casual outfits like jeans. 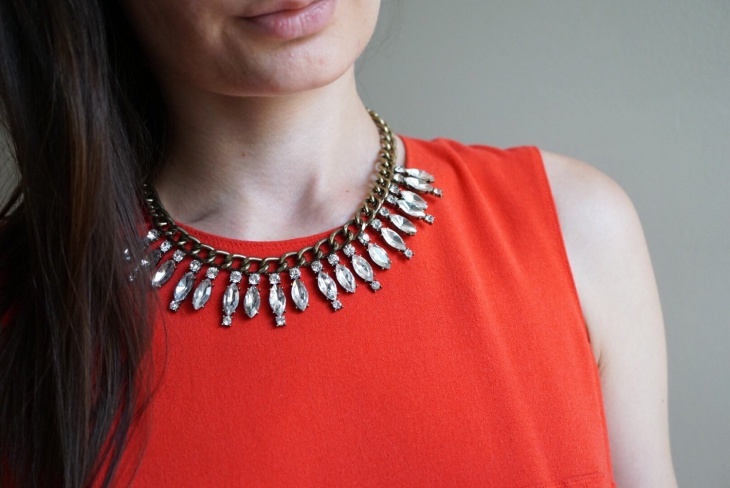 Wear a V-neck top or strapless dress to show off your necklace. Antique gold necklaces are cost effective, durable and highlight past fashion style. You can purchase this necklace and turn it into an heirloom that you can pass on to your daughter. 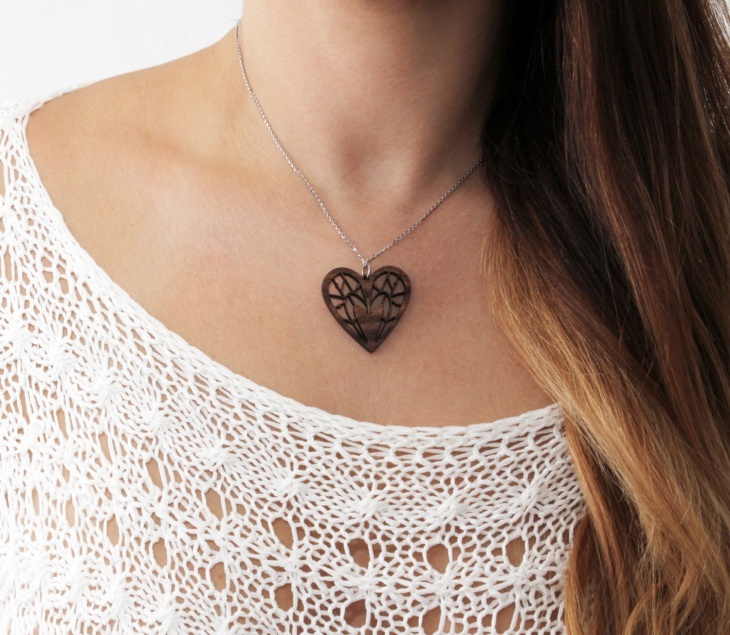 Since these necklaces are handmade, wearing it connects you to history. Gold bridal necklace designs can add a touch of color to neutral dresses. They match with all skin tones and tend to complement dresses with fewer embellishments. They suit simple white gowns as well as vintage dresses with a strapless or V-shaped neckline. Goldstone necklaces continue to be a favorite choice for many people. They work to add a unique touch to any outfit. 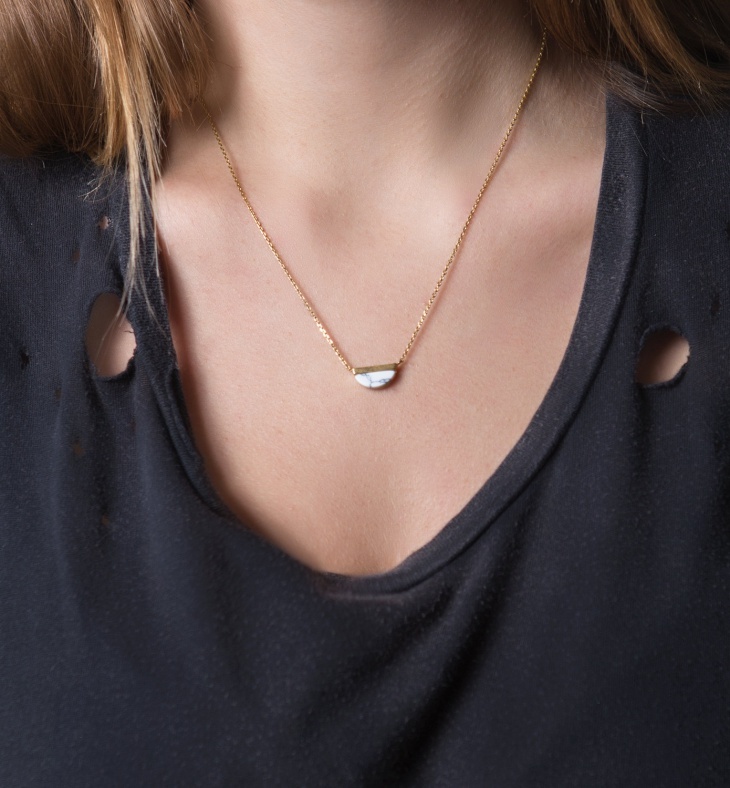 Boyfriend jeans will look fancy when you add this necklace; showing that you can use simplicity to look beautiful. Gold necklaces continue to be a popular accessory choice for modern as well as traditional individuals. They add color to a simple boring outfit and exude sophistication. These accessories are classy, can dress up an outfit and look good on any gender. You can even get a choker necklace made out of gold.